MOSCOW, March 12. /TASS/. Western sanctions complicate sales of Russian armaments but Moscow is ready for work in challenging conditions and exports more military equipment to other countries than earlier planned, Russian presidential aide for military and technical cooperation Vladimir Kozhin said on Monday. Sanctions are "a serious challenge and a serious problem," "but we know how to deal with this," Kozhin said in an interview with Rossiya 24 TV channel. The experience of last year shows that Russia has been successfully working despite the sanctions, he noted. Russia’s plans on exporting armaments remain unchanged, Kozhin stressed. "This year their amount is about the same, but last year the portfolio of orders did not decline, it is about $45 bln, and new contracts have been signed worth more than $16 bln," he said. "At the same time, it is absolutely wrong to say that everything will be very easy," Kozhin said, slamming the experts’ claims that the sanctions are not affecting the arms trade. However, "the Soviet Union and then Russia have been living under sanctions since 1949, and all the time they have been aimed against the defense sector," he stressed. "So, we have the experience of our predecessors and today there are smart people, and we know what we are going to do and certainly we won’t just sit and wait what else they will invent and which sanctions they will impose. We are preparing for this and we are ready," Kozhin said. "To our satisfaction and probably, to the dissatisfaction by the other side, I should say that most partners are very pragmatic and defend their national interests…Today, everyone has learned to defend their economic interests and their economic zones, and for that unfortunately, the weapons are needed which we offer to our partners," he said. 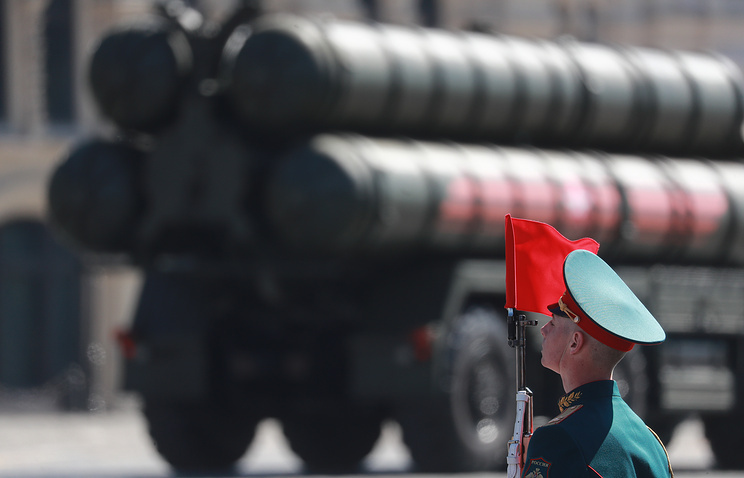 The sanctions have not changed the destination of Russian armaments’ supplies and the Middle East, North Africa and Russia’s traditional partners India and China account for nearly 50% of exports, according to Kozhin. Russia is cooperating in military and technical sector with some 100 countries and last year new partners were added to the list of traditional partners, namely Saudi Arabia, the United Arab Emirates, Turkey, Qatar and Bahrain. "So, the geography has expanded," Kozhin said.